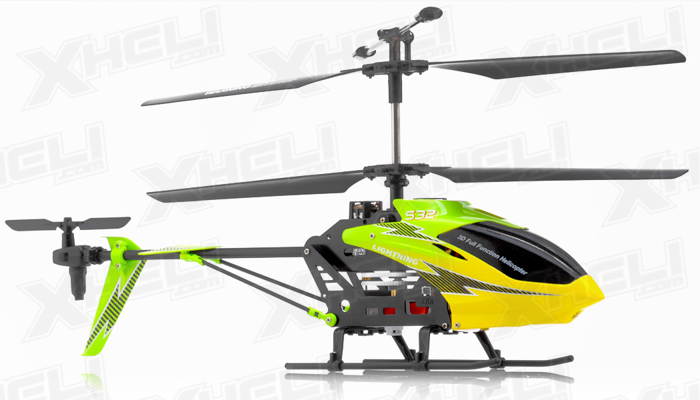 Syma introduces its newest S32 3 channel coaxial helicopter! 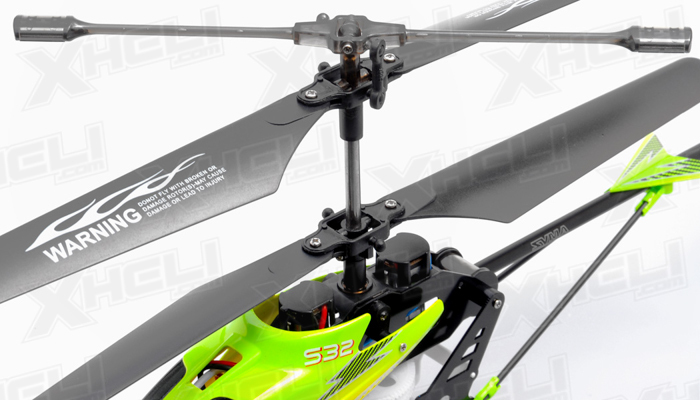 If you are familiar or have flown the S fleet of choppers, you'll know exactly how stable it is! 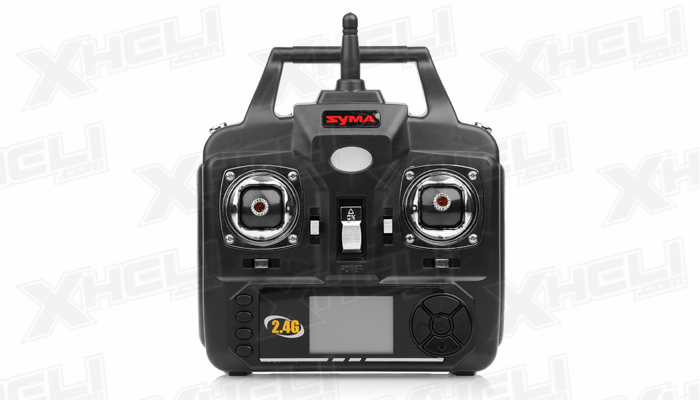 The new S32 is equipped with all the awesome features you�ll come to expect from Syma with new features such as flashing lights, bigger battery, and a 2.4ghz LCD transmitter. 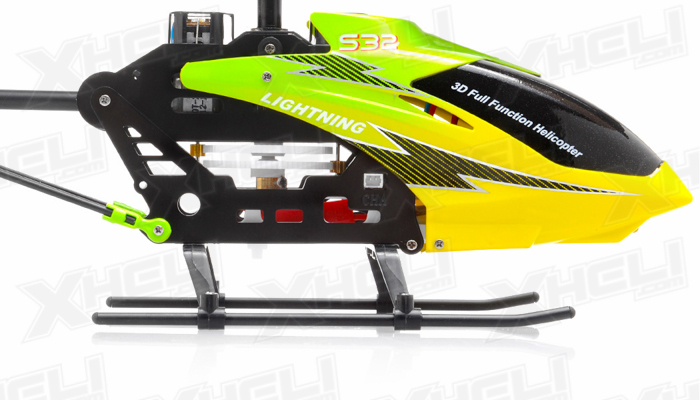 The S32 is 3 channel helicopter. This means that it can fly in 6 directions. It will maneuver Up/Down, Forward/Backward, and rotate clockwise and counterclockwise. 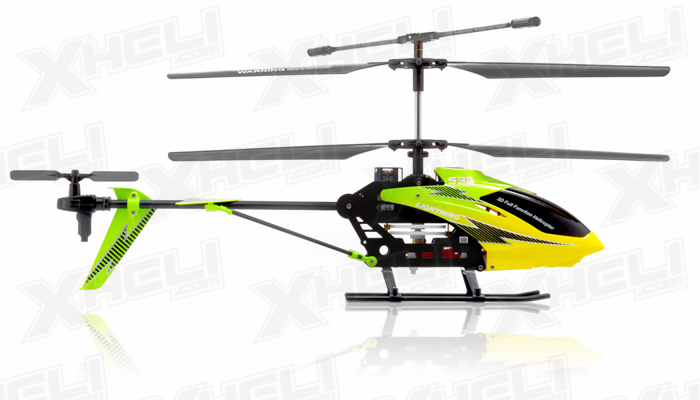 The size of this chopper is suitable for indoor flight in smaller or confined spaces. 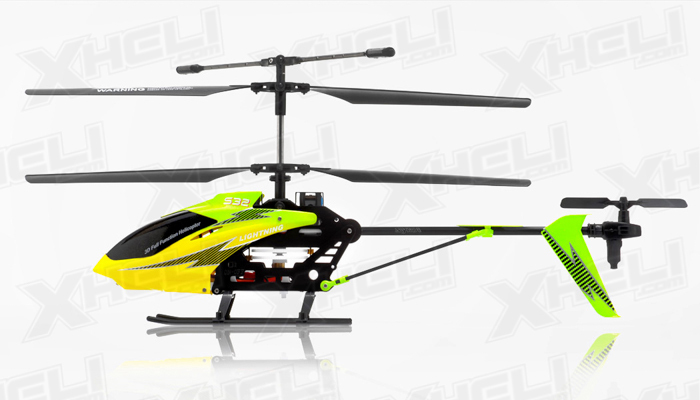 Its coaxial rotor design is naturally stable in flight. Even beginners will find that it will control well. 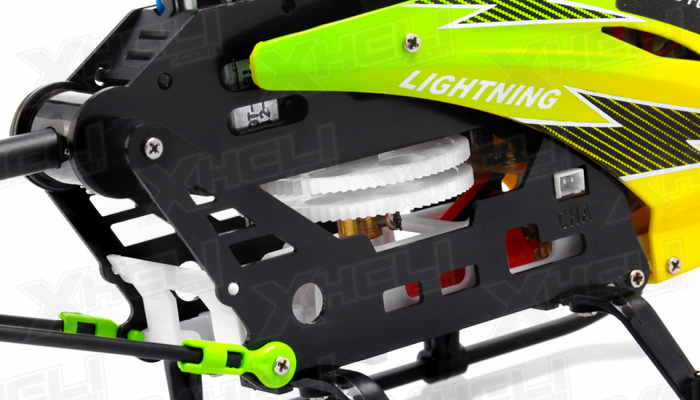 The built-in gyro is able to lock the heading and prevents continuous rotation of the helicopter chassis. 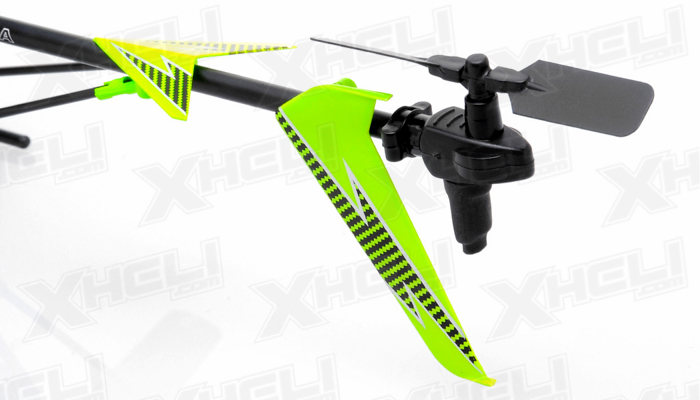 The gyroscope is powerful and with the trim adjustment on the transmitter it can be adjusted in flight. 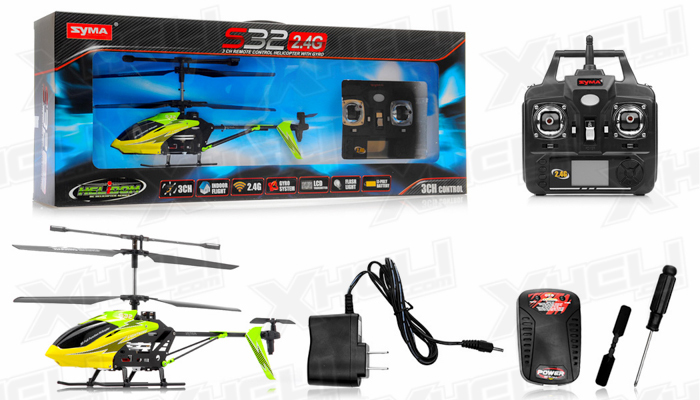 What�s impressive is that the helicopter can hover in the air with your hands free from the transmitter. 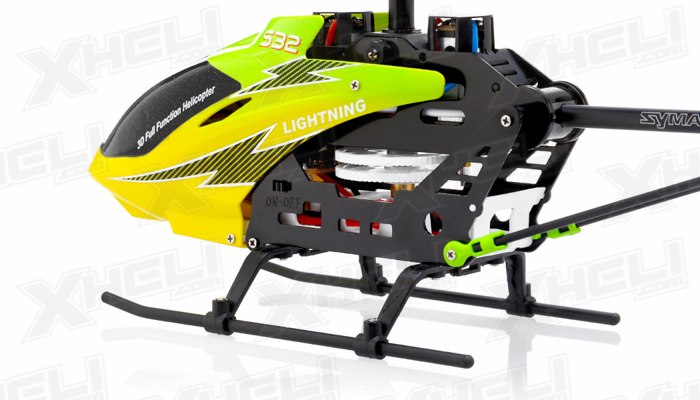 The radio system included in this package uses 2.4ghz frequency. 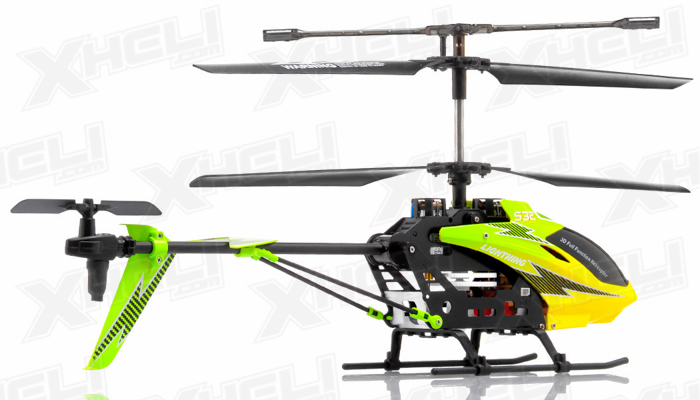 With the use of spread spectrum technology, the control distance of the chopper is improved. Unlike infrared systems, you can fly this chopper without having to worry about glass, mirrors, or sunlight interfering with the signal. This type of frequency also allows more helicopters to be flown at the same time. 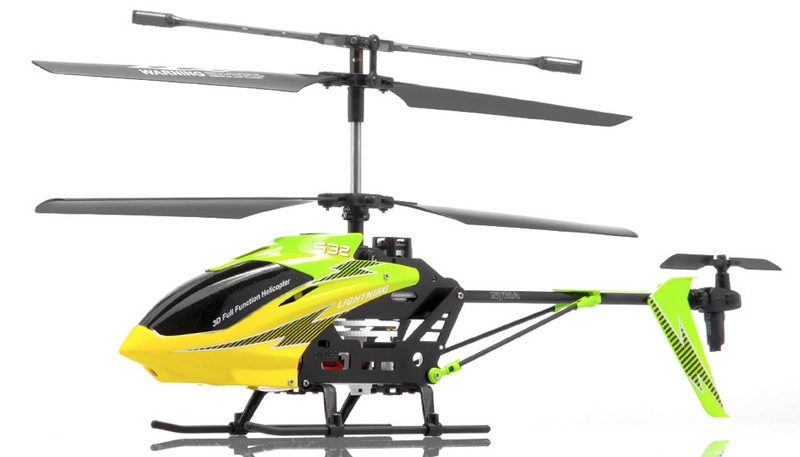 The transmitter also has an LCD screen that displays trim and flight states of the helicopter. 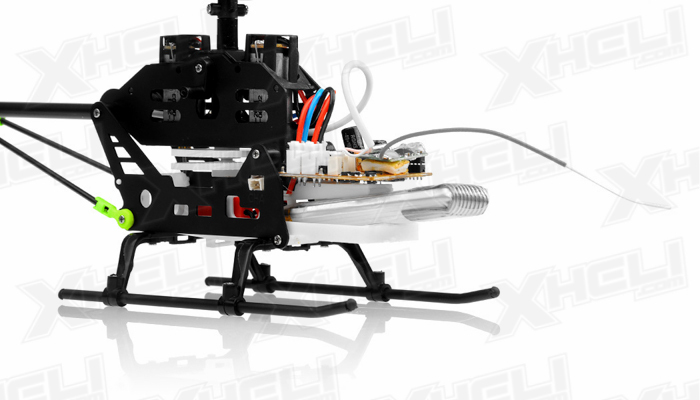 A high and low speed switch on the transmitter allows the pilot to control the throttle rate of the chopper for greater or less sensitivity. 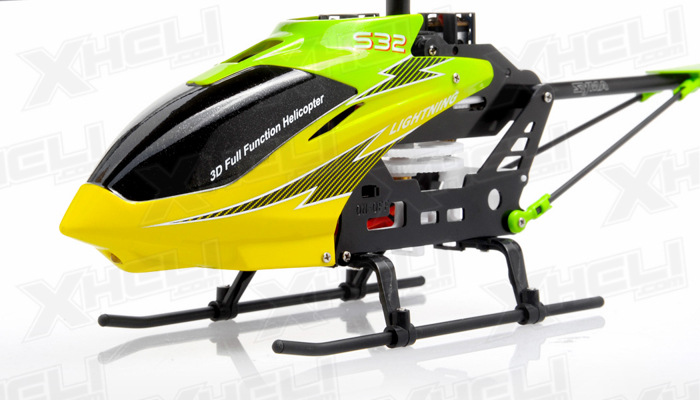 A 3.7v 500mah Lithium Polymer battery provides good power and about 6-8 minutes of flight time.